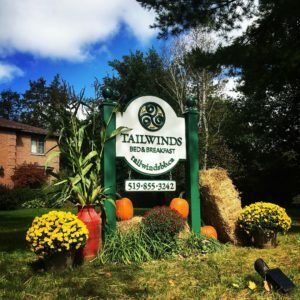 Tailwinds B&B – Where urban style meets country charm! "The perfect place to start your next adventure"
Thank you again for a wonderful weekend at Tailwinds Bed and breakfast. Top notch hospitality! 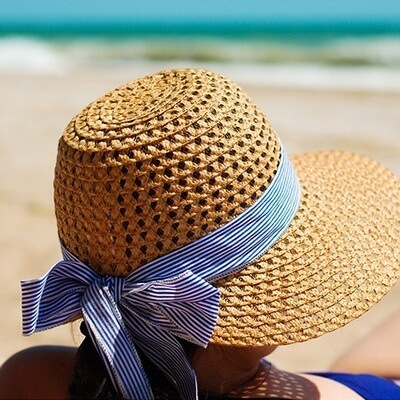 Your home is the perfect location for a peaceful and relaxing refuge away from the rigors of city life. It was the perfect place to kick off our annual cycling vacation as your location is close to several great road (and off road) trails. One of the charms of staying at a real bed and breakfast; is the breakfast and what an excellent breakfast it was. I forgot to mention, we had a Tailwind the entire way home from Owen Sound, a fitting conclusion to the adventure to say the least. My family took me to Erin for a birthday celebration recently and we stayed at this fabulous B&B - Tailwinds. The owners Janet and Trevor are the perfect hostess and host and have created a beautiful property with great accommodations and a sumptuous breakfast. They even gave me a lovely basket of tea and treats for my birthday. They helped my daughter find and book events in the area including afternoon tea, a falconry event, a horse jumping competition,etc. it was a wonderful weekend for all of us. My Husband and I, along with two other couples stayed at Tailwinds B&B while we were in town for a friend's wedding. The spacious B&B is tucked away in a quiet, beautiful treed landscape. We were graciously greeted on arrival, shown to our large comfy rooms, and offered a delicious snack! Couldn't have asked for a better experience! The house and rooms were lovely and the beds very comfy...especially after a full night of dancing! Since everyone staying there that evening were from the same group, we were even able to pick our breakfast time, and we were definitely not disappointed! Breakfast was amazing! Great food, Great Hosts, Fantastic Stay! 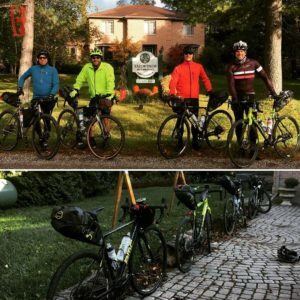 Highly recommend Tailwinds B&B!